Women's motorcycle gear is often dumbed down in terms of features and function compared to men's motorcycle clothing. 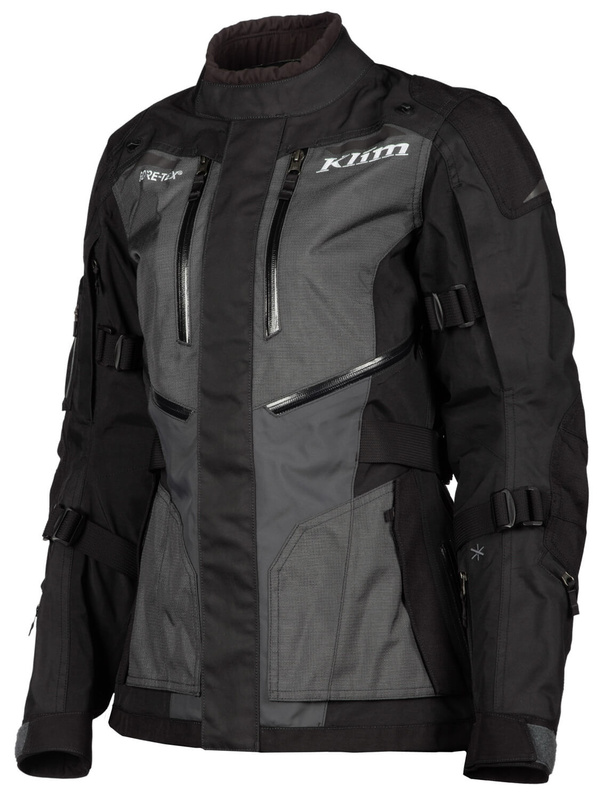 This is definitely not the case for the KLIM Artemis Women's Adventure motorcycle suit! 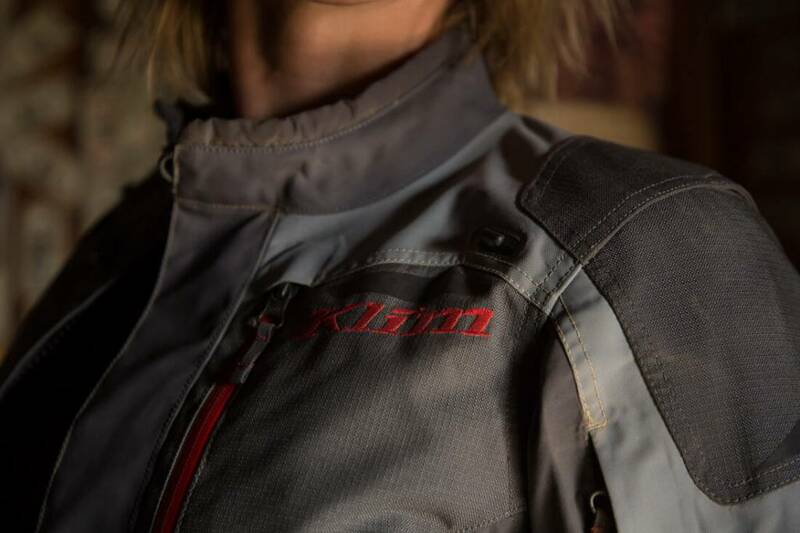 KLIM put her own female designers on the development of this suit and used feedback from female motorcyclists from all over the world to meet all the ladies' wishes. 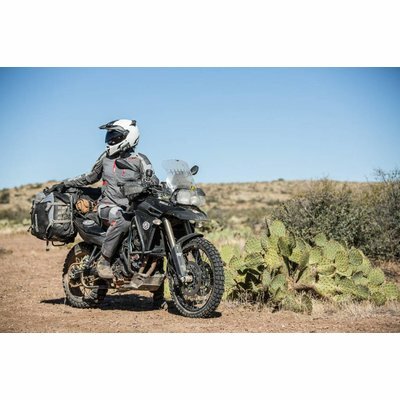 Newly developed for 2018, the Artemis is aimed at the female adventure motorcyclist who wants to ride her bike dry, comfortable and safe in all conditions. 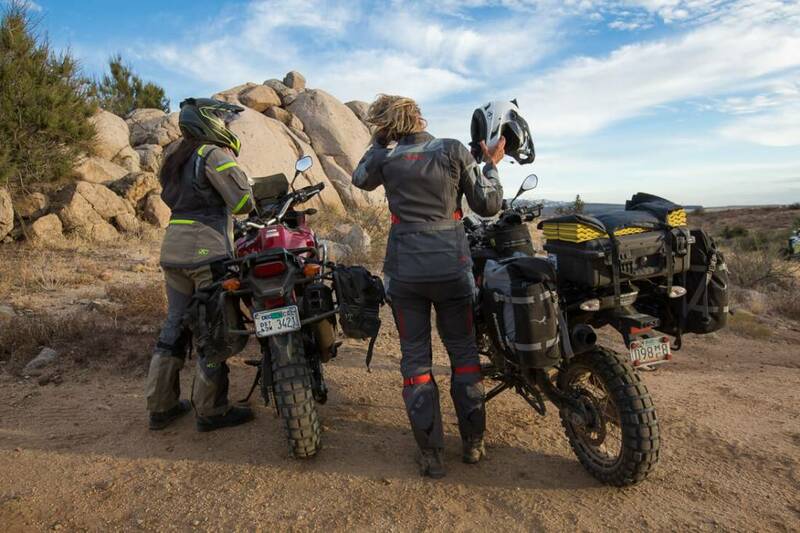 If you're going on a round the world trip or just want the best women's motorcycle gear available, the Artemis is for you. 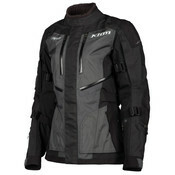 The Artemis women's motorcycle jacket utilizes 2-layer Gore-Tex® laminate, breathable and waterproof fabric. 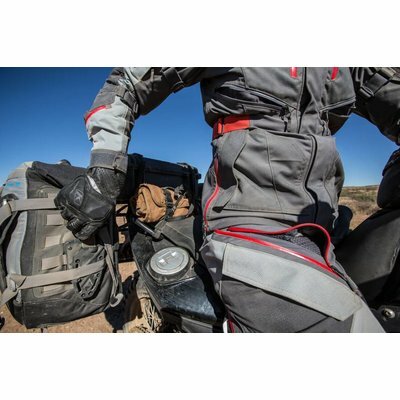 In Gore-Tex 2-layer laminates, the waterproof and breathable membrane is bonded directly to the inside of the outer material. 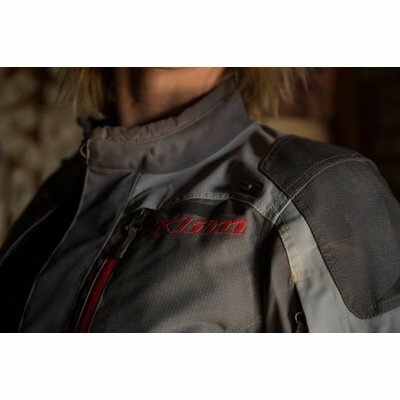 The lightweight but very strong KARBONITE™ Ripstop fabric is used in abrasion areas. 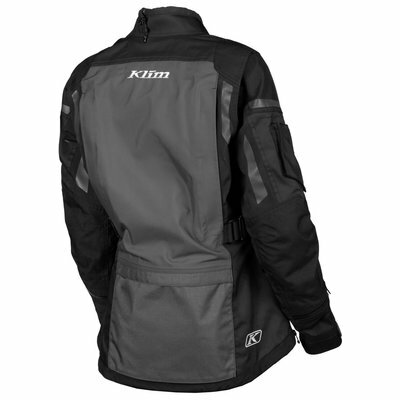 The entire inside is fitted with POLYGIENE® mesh. POLYGIENE® has a permanent anti-bacterial effect. 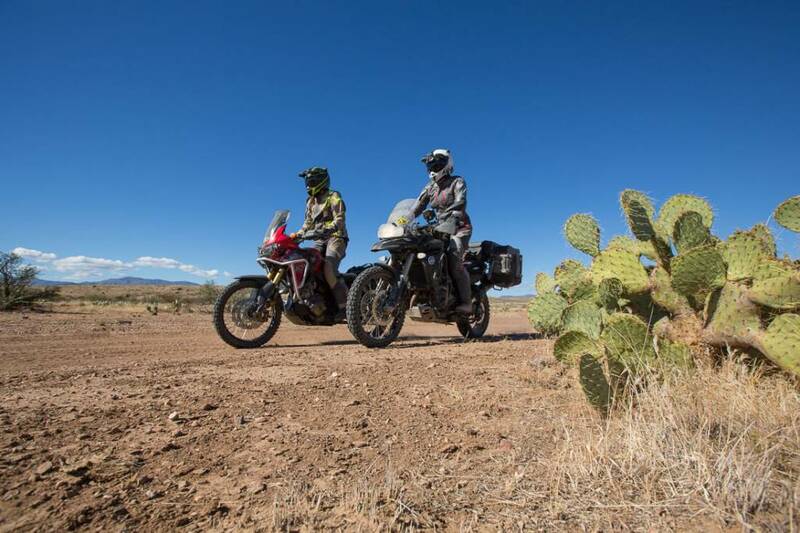 In warm environments good ventilation is very important. 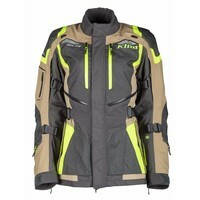 The 10 well positioned ventilation ports ensure sufficient air flow under all circumstances. 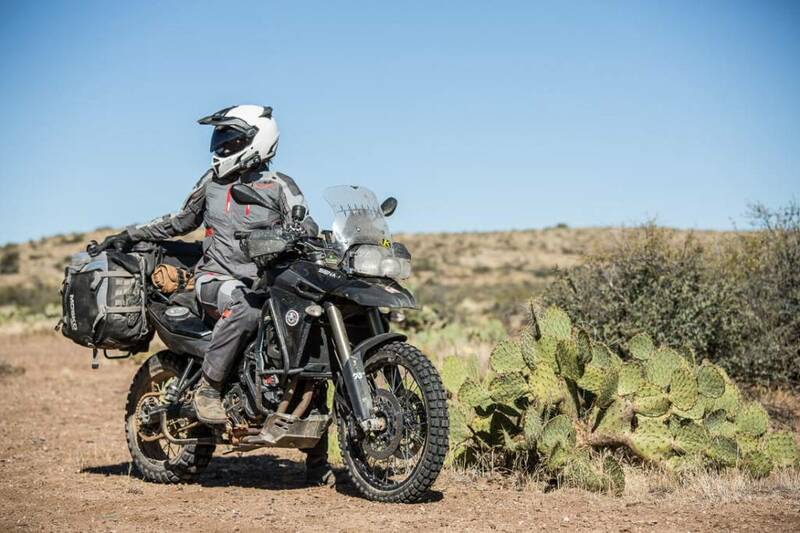 The KLIM engineering team has used the special comfort-map technique for the Artemis, in which the ventilation system works in concert with the feminine form. 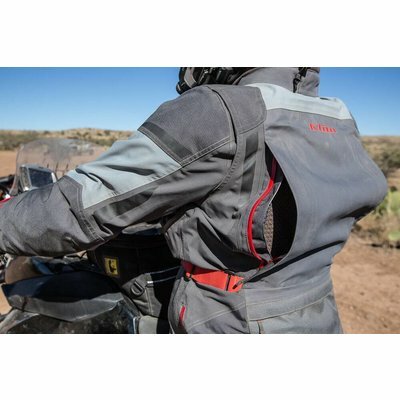 The armor pockets are fitted with KLIMATEK™, this fabric quickly transports moisture away from the skin and creates a cooling effect behind the armor. 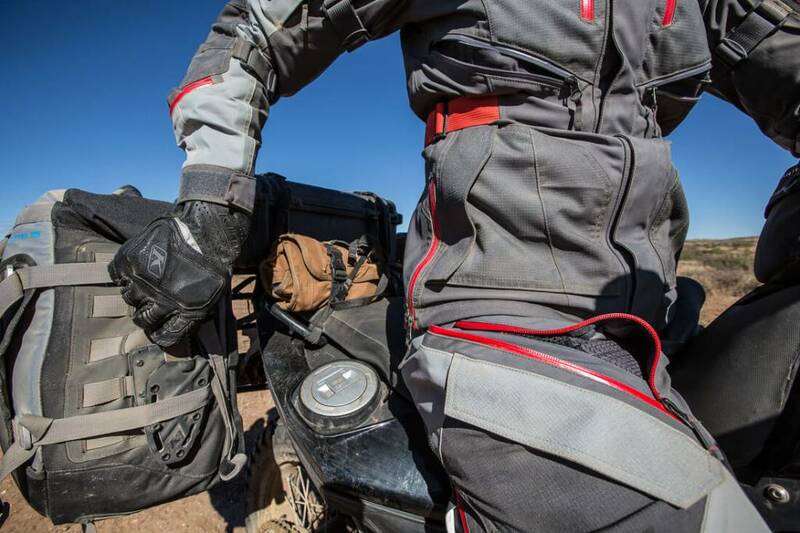 Quick-adjust straps at the waist, biceps and forearms keep the D3O armor in place and optimize the comfortable fit. 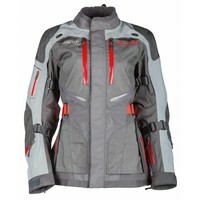 The Artemis women's jacket is available in the colors Gray, Dark Gray and Hi-Vis. 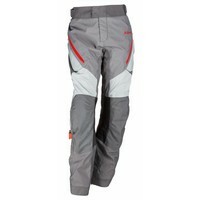 In addition, an Artemis women's motorcycle Pant is available in Gray, Dark Gary and Hi-Vis. 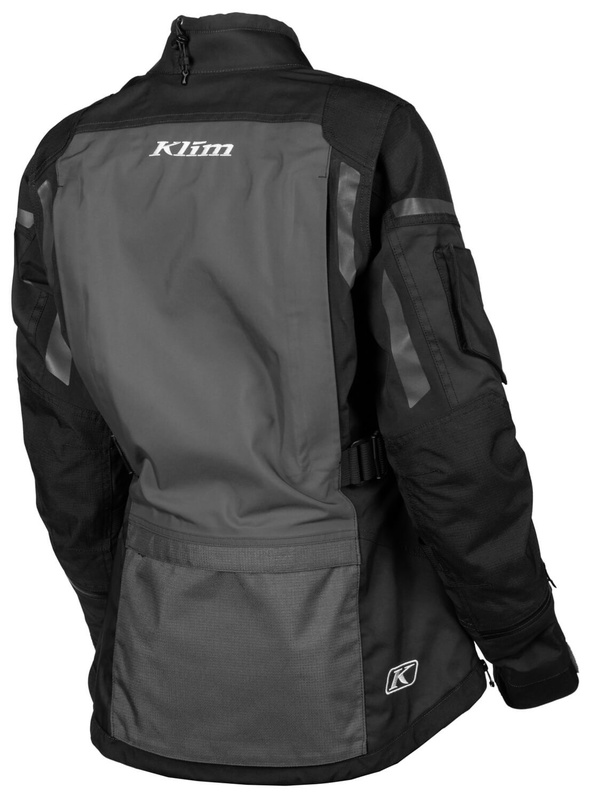 Use the KLIM Size Chart Women to determine your size. 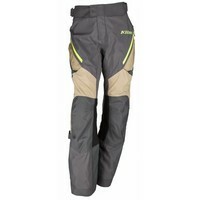 The price of the Artemis motorcycle pants in size ’Tall’ is higher than the regular version. It is possible to fit the clothes without any obligation at Bartang. Contact us for the possibilities. 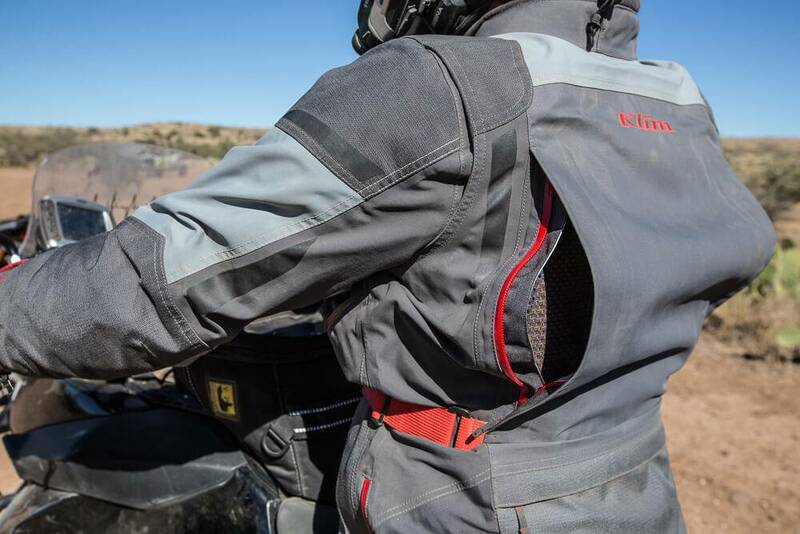 Guaranteed To Keep You Dry® Gore-Tex® Performance Shell (2-layer laminate). 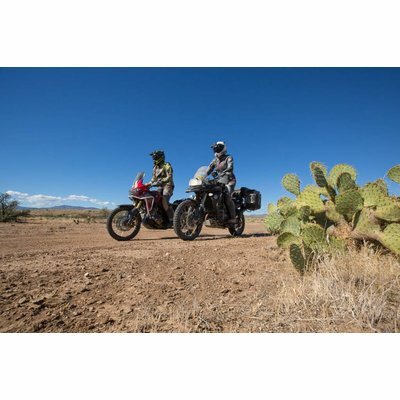 In Gore-Tex 2-layer laminates, the waterproof and breathable membrane is bonded directly to the inside of the outer material.